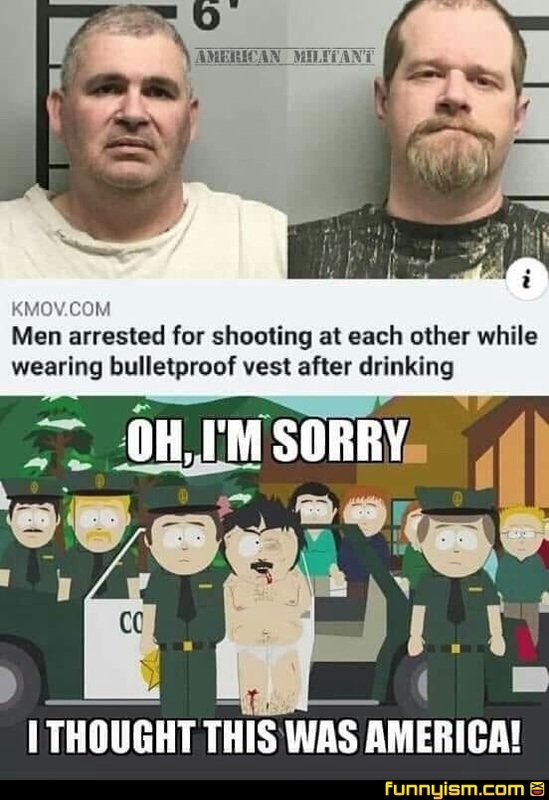 If I recall, it was actually because they didn't legally obtain the ballistic vest they were using. @TheStarHawk, yea. Lesser known fact that real body armor is more or less illegal. @TheStarHawk, I thought it was because one guy shot the other, got pissed because it hurt, then shot the other guy like 6 times in the chest and back. @GunLovingMerican, Nope. Body armor is legal to possess in most states so long as you aren't a felon. I've got a set of level IV plates I plan on torture testing one of these days. I wanna see if both of them together will stop my .50BMG at 100 yards. @Gamasennin, I really thought there was more to it than just no felonies. Thanks guys. @ThePandaPool , Just be sure to check state and local laws, you never know what random things are there. @Gamasennin, thats what i thought but ive had a few people try and convince me lately that body armor was illegal for civies.